WWE RAW Results, 31st December 2018: With this episode, the WWE concluded with their finals show of the year 2018. With the limited appearance of Universal champion Brock Lesnar and the sidelined Roman Reigns due to his ongoing treatment against Leukemia, WWE Raw has been seeing a lot more of Seth Rollins in the main picture. 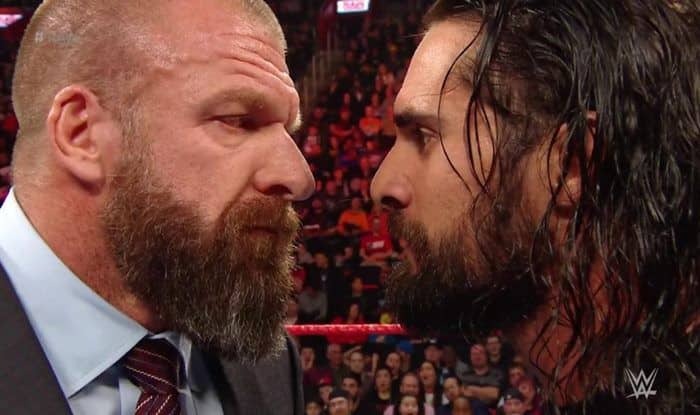 In the latest episode of Monday night RAW, Seth Rollins was confronted with the chief operating officer, Triple H – sho added a new twist to the drama of Rollins and Dean Ambrose. Triple H cleared it out to Rollins that his chances of getting the chance to take on Ambrose for the Intercontinental title are bleak because the rematch clause has been removed. Later, Intercontinental champion Dean Ambrose had to take on Apollo Crews, who earned a title match after his battle royal victory. 1) Drew McIntyre wins against Dolph Ziggler. 2) Apollo Crews emerges victorious in Battle Royal. 3) Sasha Banks, Bayley, and Ember Moon win against The Riot Squad. 4) Bobby Lashley wins against Seth Rollins. 5) Jinder Mahal and Singh Brothers win against Heath Slater and Rhyno. 6) Dean Ambrose retains Intercontinental title after winning against Apollo Crews. With this episode, the WWE concluded with their finals show of the year 2018.